Beer. Cuz sometimes you don’t feel like grilling. 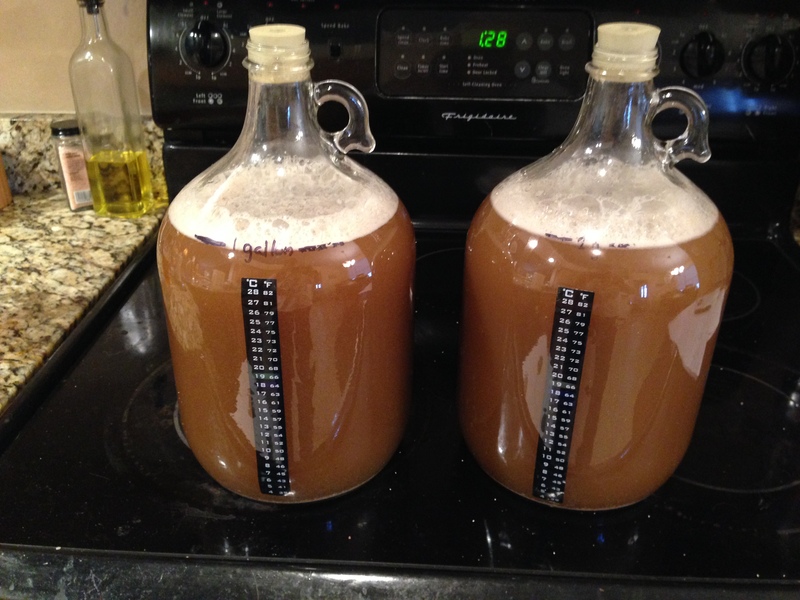 Had a few hours to myself yesterday for a change and decided to brew 2 gallons of Bavarian Hefeweizen. 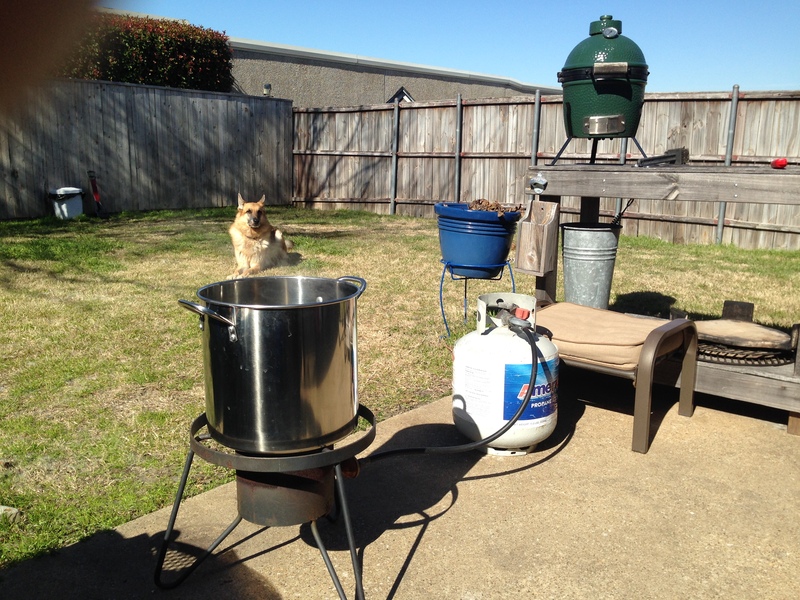 Weather was nice, sunny and around 65F so perfect for brewing some beer outside. Got the wort cooled and into 2 1gallon carboys and pitched the yeast. I know I’ve been real bad about posting anything lately. Life changes and priorities change. Amazing what a kid can do to your life. That, and we’ve not been doing anything fancy lately. Steaks, burgers and simple cuts of meat. I need to do better, but am not going to make any promises, although I do have a few things I’ve got planned so we’ll see. Duke’s showing some interest in grilling already. Next: Next post: Ruh Rho, Shaggie!! Great to hear from you! Life does come first, but food, even simple food, is a cornerstone of life. Keep on grilling! Good to hear from you, mate. And understandable it is concerning life changes. Congrats on your new pit mate there, he looks like he’ll keep you good company for sure! I’m not much of a beer drinker, but I gotta say, I’ve long admired the process of making it yourself. Seems like something I could get in to. Looks relaxing, kind of like smoking meat. Good to see you posting! 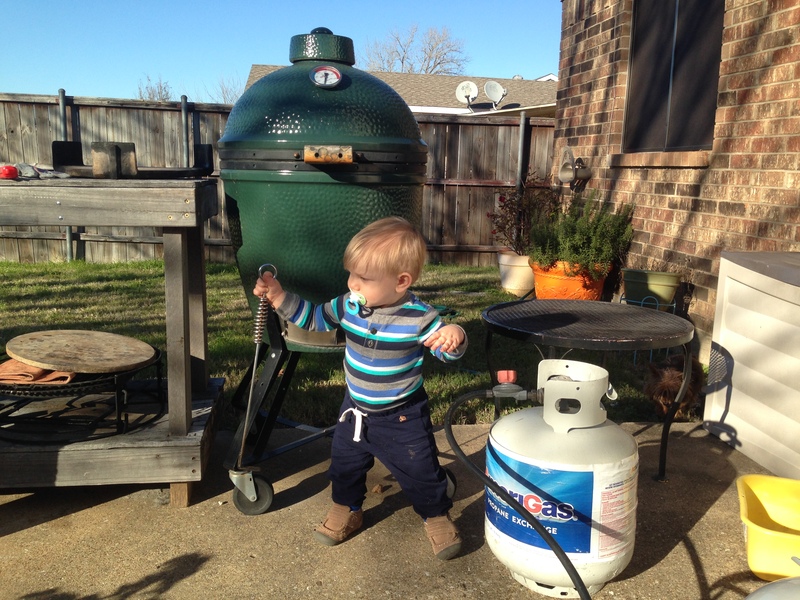 You’ve got a future grill-meister on your hands! 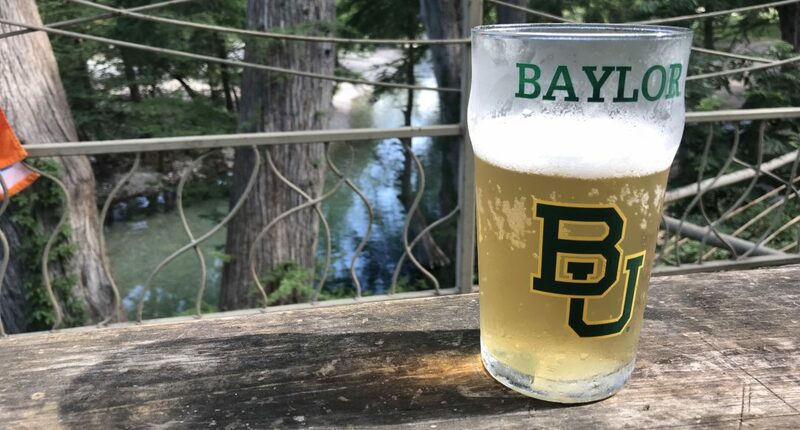 We used to make our own beer, it’s a fun but involved process, though. Thanks. Yeah, its involved but rewarding. You sure that’s enough head space for a Hefe? Been a little blow off through the tube, but not much. Done it before, not worried.